Can you really lose weight this year? The New Year is here and we have to deal with our resolutions. For many Americans, one of the toughest resolutions is to lose weight. The average person added 10 to 15 pounds since Thanksgiving – and was not underweight to begin with. Everyone wants to lose the pounds but it is very difficult, unless you follow a healthy diet that you can make a part of your lifestyle. Here’s the skinny on some popular diets. The perfect diet would be to eat all you want and still lose weight. If this sounds like the diet for you, then try the Ornish diet. The Ornish is a vegetarian diet developed by Dr. Dean Ornish to promote a healthy heart. The diet does not limit how much you eat but what you eat. Instead of meats and fish, the diet promotes eating beans, legumes, fruits, whole grains and vegetables. Foods to avoid are meats, sugars, diary products and alcohol. The diet also stresses the need for regular exercise. Most Americans love eating meat and if you are one of them then the Atkins diet is for you. The Atkins diet was formulated by Dr. Robert Atkins and also does not limit how much you eat. The Atkins diet is the best known and probably the most widely followed low-carbohydrate diet. Dr. Atkins believed the carbohydrates we eat such as refined sugars, processed grains and rice lead to obesity. These need to be avoided. Meat and saturated fats are fine as long as you avoid trans-fats. Trans-fats typically are the fats which are solid at room temperature. The Atkins diet promotes fat burning by limiting carbohydrate intake and having the body burn fat for energy. The Atkins diet also stresses regular exercise. The South Beach diet is another diet similar to Atkins. A more moderate diet developed by Dr. Barry Sears is the Zone Diet. The zone diet follows a simple formula balancing the intake of carbohydrates, proteins and fats to percentage 40:30:30. 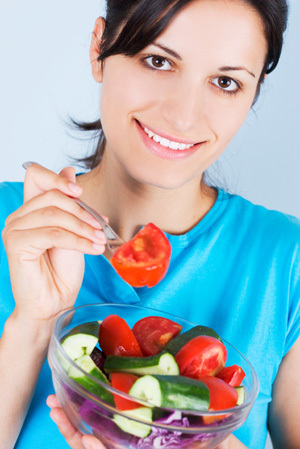 The Zone Diet seeks to adjust metabolism which will increase health and decrease fat. There is a phrase attributed to the Zone Diet which says eat as much protein as the palm of your hand, as many vegetables as you can stand, enough carbohydrates to keep normal brain function and enough monounsaturated fats to keep you feeling full. The Lemonade diet is a type of fasting diet which seeks to cleanse the body of toxins by flushing it with juice and vegetables. There are many other diets which you can find by searching the Internet or book stores. They all have one thing in common, they don’t work. Over time, most people put back on the weight they lost and more. The results are depressing but you can be successful if you follow some simple advice. Modify your eating habits by choosing the foods you eat carefully. Eat as many green vegetables as you can for both the vitamins and the fiber. Eat complex starches such as baked potatoes, sweet potatoes and whole grains. Lean protein is essential to maintain muscle mass and can be obtained from poultry, beef or fish. Your portions need to be reduced in size until you begin to lose weight. These simple principles are sustainable and you don’t have to buy expensive meals. Some people find it easier if they eat six smaller meals instead of three main meals, which seem to keep hunger away and keeps a more steady nutrient level in the blood. You will feel hungry but not desperately hungry. As you get closer to your ideal body weight, you can add more food to your diet. As important as what you eat is what you should avoid. Common sense tells us to avoid sugar, processed foods, snack foods, fast food, anything which contains corn syrup and alcohol. Keep it simple and you can be successful. I also believe diets should only be six days long with a “cheat day”. The cheat day allows you to reward yourself. I use Saturday night as my cheat meal so I can enjoy a good dinner out. You will find that over time, as you begin to feel better and lose weight, you won’t use your cheat day. There are a few things to avoid in diets. Diets which do not provide enough protein to maintain your muscle mass leave you worse off than when you started. If you do not have enough protein you will lose weight but your body will eventually have a greater percentage of fat. You need about a gram of protein for each pound you weigh. Avoid diets which are not sustainable or are too expensive to continue long term. They will not keep the weight off. Finally, remember if you eat a balanced, healthy diet then there is no need for vitamin supplements. These supplements have never been proven to provide any health benefits and often are not even absorbed by the body. Try eating healthier today and you will see and feel the results. Eating a balanced, healthy diet will give you more energy and greater health. You will feel the difference and it will become addictive. Don’t wait, start today.